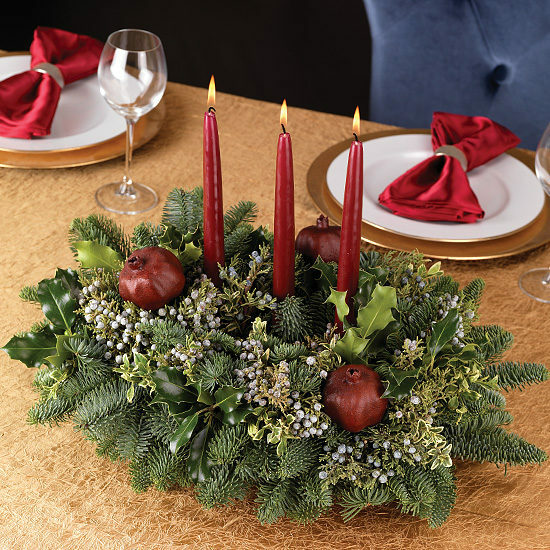 A symbol of abundance and good luck, the pomegranate brings wonderful meaning to our holiday centerpiece, along with its rich burgundy hue – a color so loved this time of year. 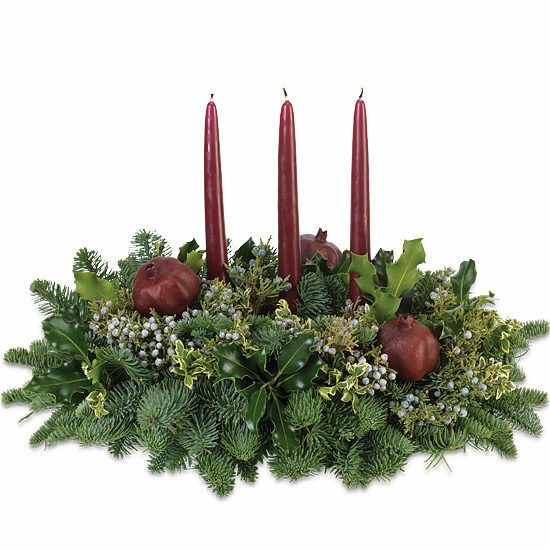 Three are nestled in a bed of fresh evergreens, providing a festive place for three 9″ taper candles to cast a warm glow, their color a perfect match to the pomegranates themselves. A lovely gift befitting Christmas or other seasonal celebration, it looks elegant on a dining room table, sideboard, coffee table, or mantel, or in any room of the home.